Founded By Maharana Udai Singh II in the 1500s this Venice of the East is fringed by the scenic Aravallis. 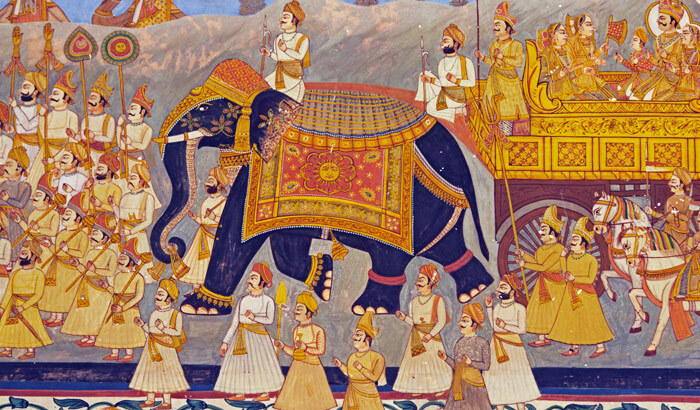 The city of Palaces and Lakes was originally the capital city of the Mewar Kingdom. It houses spectacular tourism sites like Lake Palace over the beautiful Lake Pichola. Lake Fateh Sagar built on the lines of California’s Big Bear Lake has a solar observatory built on an island which is unique in the country. There is an artificial lake ranked second largest in the whole of Asia. Udaipur has several magnificent wonders including the Jag Mandir and Monsoon Palace and the Sajjan Niwas Garden is a lovely large rose garden. For art lovers there is a Bharatiya Lok Kala Mandal culture fest with puppet shows and folk dances portraying the festivals and culture of Rajasthan. Shilpagram is an Arts & Crafts complex housing a museum on culture & lifestyle of rural tribes. It is situated in the midst of the scenic Aravallis spread over 70 acres. There is a popular 10 days festival organized for art lovers at Shilpagram. Apart from art & Culture, museums, festivals, lakes, palaces, etc there is also wildlife and nature landscape to watch out for in Udaipur. 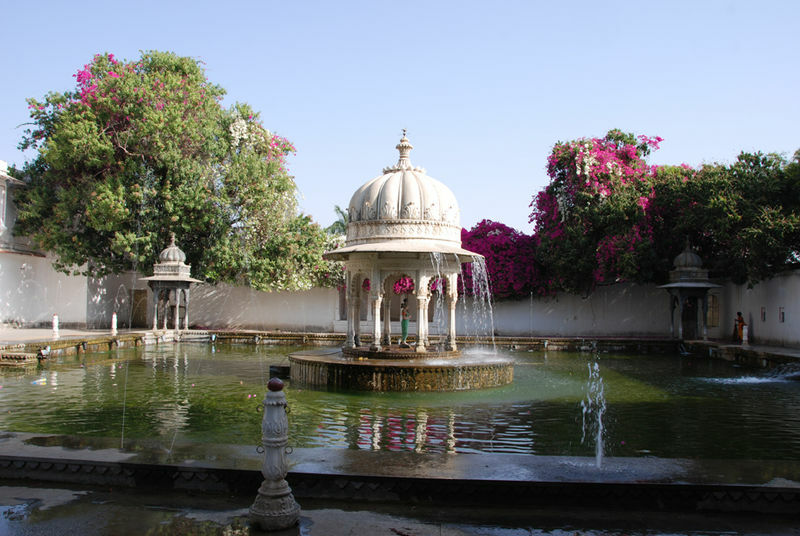 There are innumerable places to go sightseeing in Udaipur. 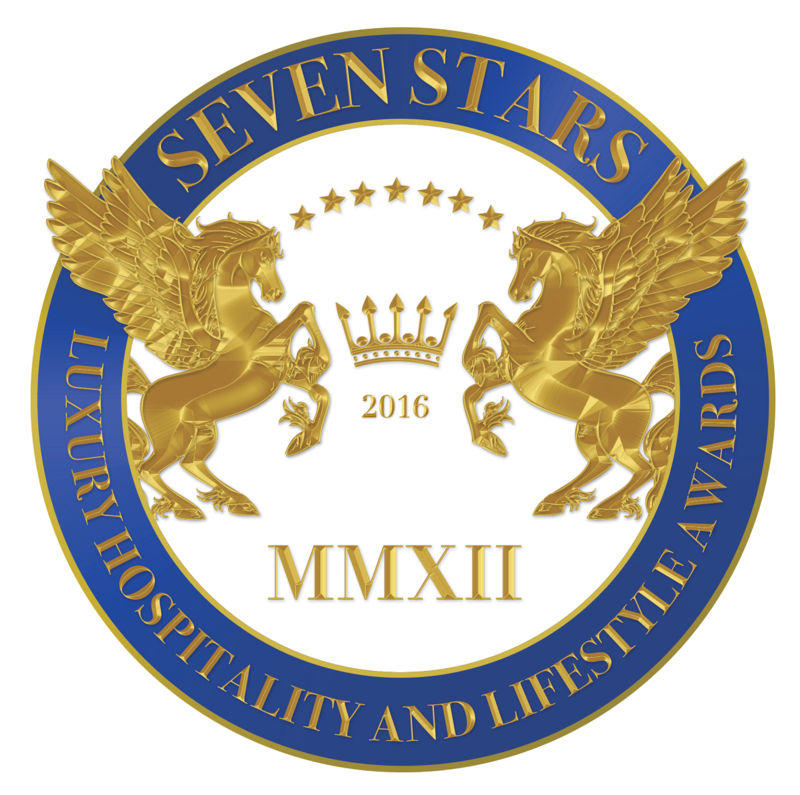 There are nature parks, tranquil lakes, magnificent palaces and religious / cultural complexes. This includes Jag Mandir, Lake Fateh Sagar, Sajjan Wildlife Sanctuary, etc. 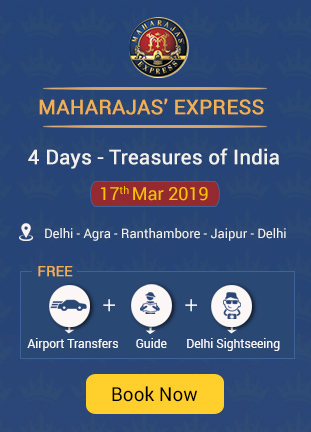 We have listed the most famous tourist attractions below that are part of a full day itinerary for India’s Luxury Train – Maharajas Express. 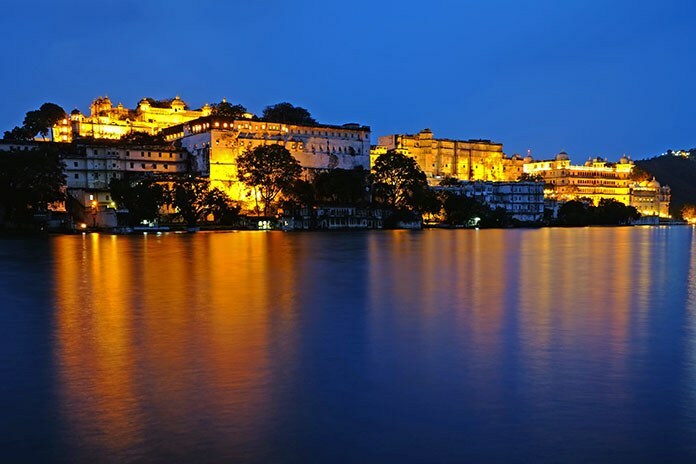 The moment one thinks Udaipur the first sight that comes to mind is definitely The Spectacular City Palace. There are open vistas, several balconies, and exotic gardens as well as a museum. This magnificent monument showcases brilliant Mughlai & Rajputana architecture. 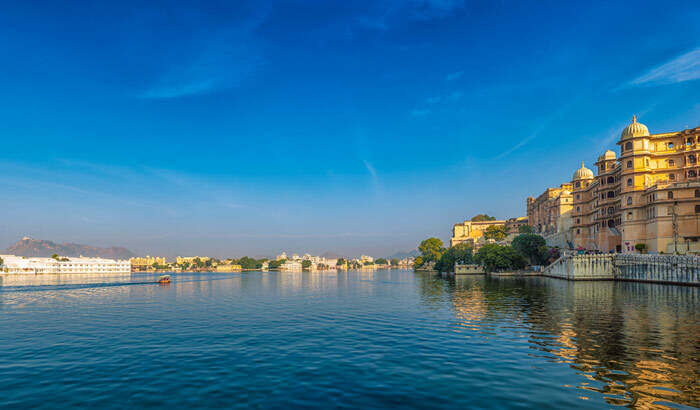 The City Palace stands on the banks of this picturesque lake that is a center point for several palaces and bathing ghats in the City of Lakes, Udaipur. One of the best experiences is to take a boat ride in the tranquil waters of Lake Pichola. This is a spectacular garden that was built especially for Royal women to unwind. It means Garden of the maidens and is filled with Tall trees, rose gardens and elephant shaped sculptures and fountains. 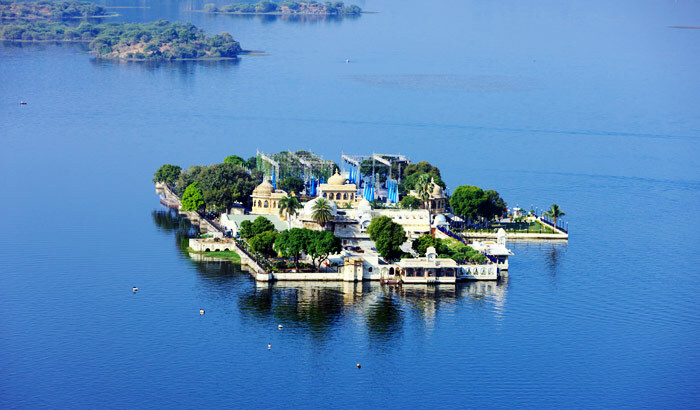 There are several reasons why Udaipur is famous. There are many more reasons that we may think. Apart from the lovely tranquil lakes and waters there are several interesting activities to do there. For example a visit to the City Palace on the banks of the Lake Pichola is incomplete without a boat ride around the calm waters. You can also check out the sweet water lake that is the second largest artificial lake in the whole continent of Asia. Cable car rides are available at affordable fares where you get an areal view of the colorful city via rope-way. There is an interesting activity called hot balloon rides for up to four adults. This beautiful city of palaces is part of a day long tour of the Royal Luxury Train Travel for Maharajas Express. 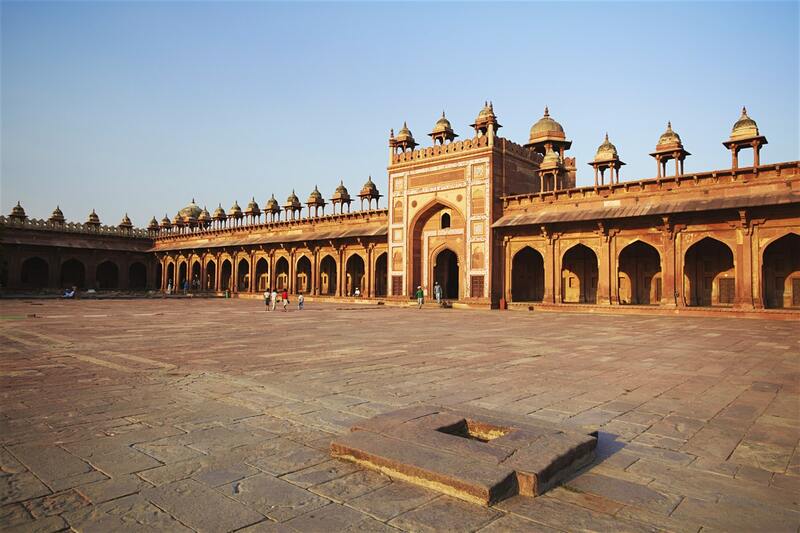 The historic palaces, forts and monuments within the Fatehpur Sikri goes with the royal kingly lifestyle offered onboard the like Maharaja’s Palace. 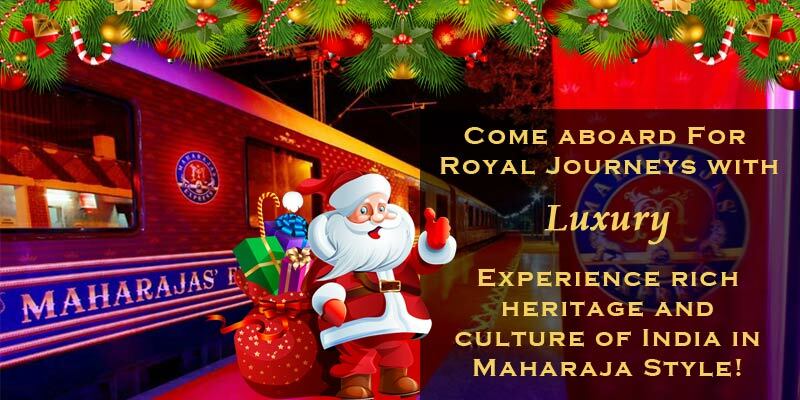 Book a trip with Maharajas Express as Udaipur is a hotspot for several Luxury Trains in India. Udaipur is also famous for the amazing shopping that you can do. There is blue pottery, clay artifacts, and also small showpieces to put in your show case. The most popular shopping places in Udaipur are Bada Bazaar, Palace Road, Chetak Circle, and Hathi Pol Markets. These shopping places offer excellent products which are worth your money. There are vibrant sequined fabrics that are most attractive shopping items that you can shop at several places in Udaipur. These two government emporiums are set up at one place. There is no negotiating here as things come at a fixed price. If you are a shopoholic then the best places to go shopping is where the street vendors put out their stalls. This is a place where you have a great shopping experience with a variety of goods to be on sale. The week long Maharajas Express tour gives you a lot of time post lunch to shop around. Take that time to shop for various portraits and paintings of the Mewar culture. There is artwork on marble, silk, wood, ivory and paper too. These showpieces reveal a lot about Mewar & Rajputana history and culture. This place is thronged by tourists from all over the country and international tourists too. It is not difficult to get around here. It is easy to reach Udaipur from any means of transport from surrounding cities and states or main railway stations. The city has an airport known as Maharana Pratap Airport. There are flights to all major cities in India. It is located just 22 km from the city. There are several connecting inter state trains that stop at Udaipur station. Some popular ones are the Chetak Express, Mewar Express, SF Express, Ananya Express and many more. 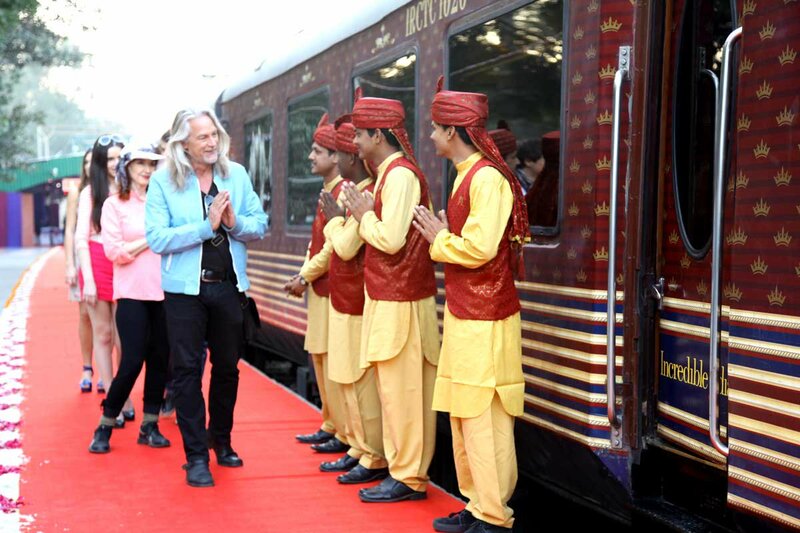 Even Luxury Train Maharajas Express stations for a day at the Venice of East – Udaipur. There are intercity deluxe, A/C bussed and Government bussed to get around within the city. Getting around in Udaipur: Roads are crowded and lanes are narrow. It is a common sight to see bikes and autos not parked in orderly way. Streets are narrow so getting around walking is best as you can shop along too. You can hire auto rickshaws but they charge high fares.